2012 MB look alikes. these are some boys the that look just like mb. 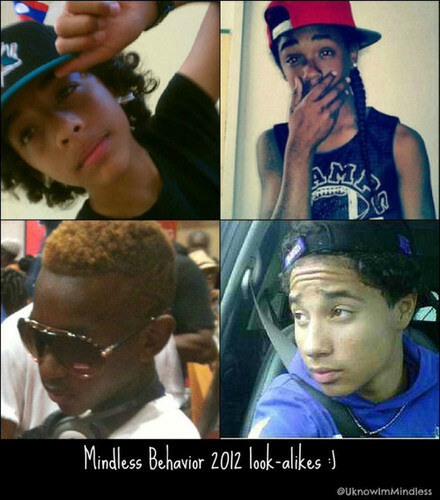 Wallpaper and background images in the princeton (mindless behaviour) club tagged: mb look alikes. That's scary!!!! But the real MB is hotterrrrrrrrrrrrrr!!!! THEY LOOK JUST I like!!!!!!!!!!!!!!!!!!!!!!!!!!!!!!!!!!!!!!­!!!­!!!­!!!­!!!­!!!­!!!­!!!­!!!­!!!­!!!­!!!­!!!­!!!­!!!­!!!­!!!­!!!­!! that ray ray look alike sooooo FIONE BUT.......!!!!! my booo RAY RAY looks WAYYYYYY better!!!! TBH!!!! They look alike but mb will always look hooooooter!!!!!!!!! !